We are excited to announce that Fashion Forward has joined in helping to sponsor the 4th Annual Philly Chilly Bowl. BigBite events attract a lot of stylish folks so it is no wonder Fashion Forward and BigBite had such a wonderful relationship! If you are still new to Fashion Forward, get with the program and read below!! 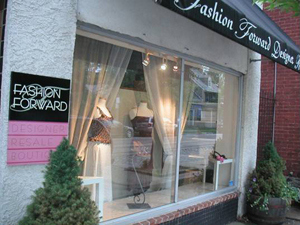 In the heart of Philly’s Chestnut Hill area , consignment boutique Fashion Forward is a one-stop shop for designer hand bags and upscale brand name women’s clothing for those of us that may not have a “designer budget”. Whether you’re searching for a Marc Jacobs purse, Prada bag, or some boots with the furrrrr, Chanel accessories, you’ll be thrilled to find high-quality near new designer garments at an affordable price. Let Fashion Forward’s lovely proprietor, Ayana Hamilton style you like the stars!!! This entry was posted on Tuesday, February 26th, 2013 at 2:56 pm	and tagged with #phillychilibowl4, Big Bite Productions, Fashion, Fashion Forward Boutique, Philly Chili Bowl and posted in Philly Chili Bowls, Sponsors. You can follow any responses to this entry through the RSS 2.0 feed. « DJ 2 Tone Jones Is Back, and He’s Bringing Goodies!